Am I a Jacob or a Jonah? Sometimes I wonder. 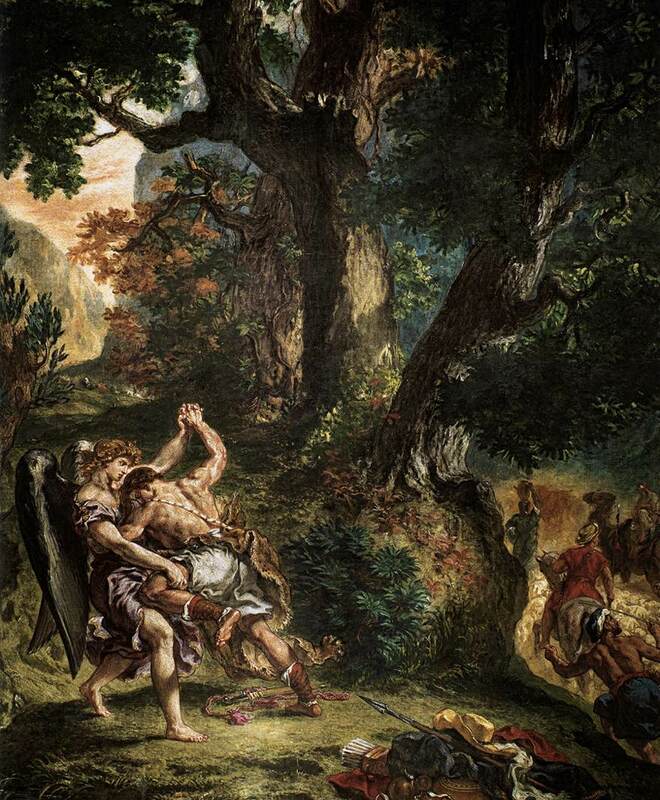 Jacob wrestled with God, saying, “I will not let you go unless you bless me” (Genesis 32:26). But Jonah fled from the presence of the Lord (Jonah 1:3). One stood still and grasped God, while the other fled from him. But both were not taking action. When I struggle to know what words to write, I think of it as paralysis. In my post on Paralysis Prescription, I wrote that it’s difficult to determine at those times if God doesn’t want me to do that particular project at that particular time or if the devil’s trying to make me give up a project with a lot of potential for good. Similarly, I sometimes struggle to know what God wants me to do. So I don’t take any action. Am I being a Jacob, clutching God until he blesses me? Or am I being a Jonah, failing to go where God wants me to go? Perhaps you’re neither Jacob nor Jonah, but Joshua, who knew the Promised Land was his but was told to prepare himself (and Israel) before entering (Joshua 1:10-11). I don’t think being in the center of God’s will always means we’re visibly moving forward. As Paul reminds us in Ephesians 6, sometimes we’re called to put on the whole armor of God and then just stand fast. With two books published in 2012, you had a good year where writing is concerned. And he’s using them both to bless His people and draw others to Him. He knows you’re ready to move whenever and wherever He leads you. Great reminder, Y, that we are often called to wait on the Lord. I love how God enourages Joshua to be of good courage because He will never leave him or forsake him! I hardly feel sufficient to be giving advice since I am just a young mom of 5, but The Lord has used many times and circumstances where all I’ve been able to do is wait on the Lord. This does not mean being inactive. Rather, we wrestle to know God’s will for us and how we ought to proceed for His glory. There are many lessons to learn in Christ’s school. I’ve always found that waiting was one of the tougher ones to learn. I’ve been reading your blog regularly for awhile now and have been blessed by your writing. I especially like the pieces on the Psalms. I have also read your book on rest (what a timely subject for me!) and must say that it blessed me greatly and prompted me to read more on that topic. I love to write and hope that the Lord will open up opportunities in that field in the future when my children are grown. Have a most blessed day. May the Lord strenghten you. You are so right, Anita, that waiting on the Lord is one of the toughest lessons to learn in life. That must be why God keeps teaching this lesson! Thank you for your encouraging words regarding my devotional on rest. When I was a busy mom with four children in the home, I longed to write, too. But like you, I trusted God to provide the opportunities some day. And he has in amazing ways!